We wrote the other day that the Brazilian football association had decided to ignore Beijing Guoan’s plea to allow Renato Augusto miss Brazil’s up-and-coming friendlies because of their crucial top of the table clash against Guangzhou Evergrande that takes place on September 14th, which is only three days after Brazil’s final friendly. This would mean that Augusto would have a mad dash back to Beijing from the Americas if he was to take any part in that game, which is an absolute must win for Beijing Guoan if they want to retain any ambition of winning the Chinese Super League. He must have had a little chinwag with Brazil’s manager Tite because only a couple of days ago the news was saying that Renato Augusto will be in the squad for the friendlies. 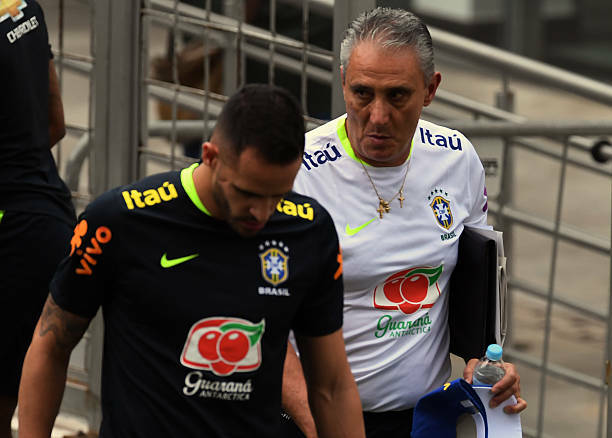 Then yesterday, news was reported that Tite had agreed to let Renato Augusto leave the training camp to compete in the crunch games. Obviously Augusto has a good relationship with Tite otherwise it would be impossible for him to leave the training camp. Guoan will be mightily relieved that Brazil have finally somehow accepted their requests to let Renato Augusto be available for their crunch match up with Evergrande. Guoan were leading the table at the half way point but their form has stuttered a bit recently and they are struggling to hold onto to top spot in the title battle. They have been chased down by both of the Chinese Super League powerhouses – Guangzhou Evergrande and Shanghai SIPG. Both these clubs have 2 games in hand on Guoan, and have been ferociously charging them down over the previous weeks. The pressure is on Guoan to defeat Evergrande in the crunch match, or their chances of winning the league will become slimmer and slimmer and the end of the season draws closer and closer. Augusto is a key component in their title battle and they will be over the moon that he will now be available for this match as Beijing Guoan try to break Guangzhou Evergrande’s dominance over the Chinese Super League.